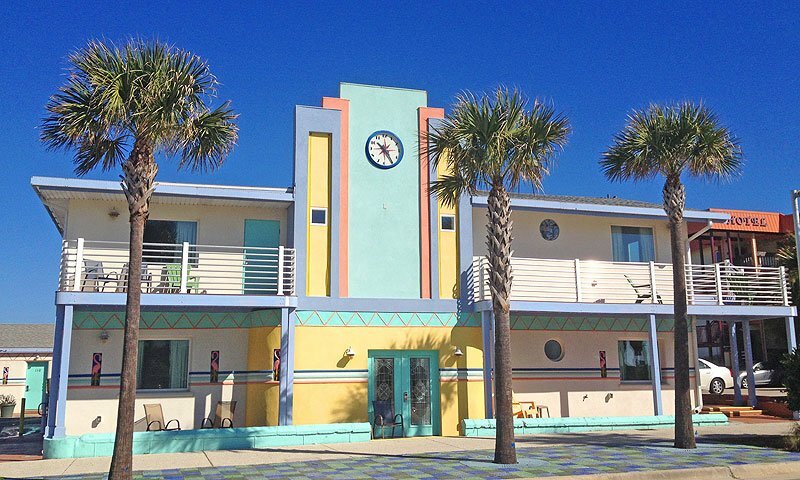 Magic Beach Motel is a 1950s Art Deco motel that's conveniently located between the beautiful Atlantic Ocean and historic downtown St. Augustine. Originally built in 1951, this retro-themed motel retains all of its past style while also offering the modern conveniences of today. Renovated and modernized, this unusual hotel provides guests with a wide choice individually-decorated rooms, a clear blue pool to cool off in, easy beach access, a breakfast lounge, and affordable rates. 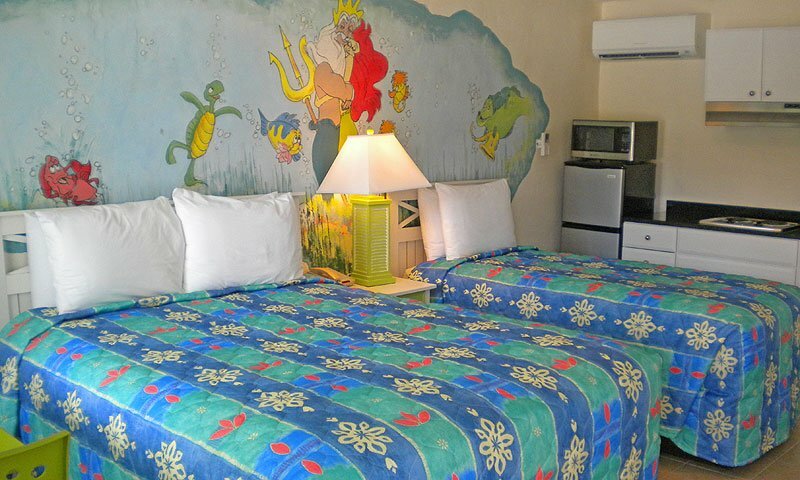 Recognized 2013, 2014 & 2015 by Trip Advisor as a Certificate of Excellence Winner, the Magic Beach is especially proud of the beautiful murals of scenes from St. Augustine and marine life in each of the rooms. 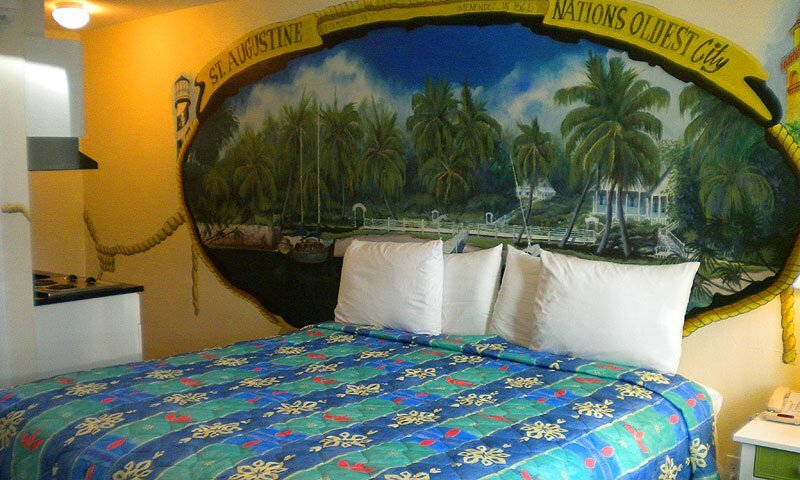 Most of the murals date back to the beginning of this hotel and have been retouched throughout the years. 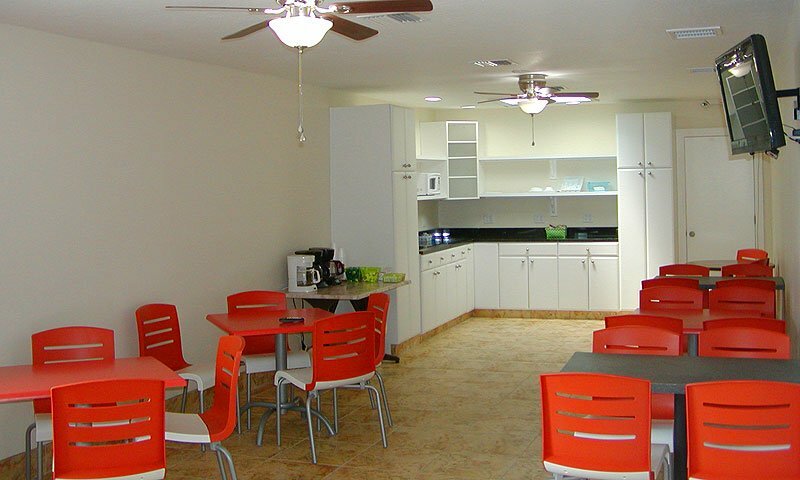 There are also updated kitchenettes in each room, cable TV access, and comfortable Denver beds in double, queen, and king sizes, as well as a handicap-accessible room with a large walk-in shower. One suite with two separate rooms is also available. This hotel got its unique name from the series in the '90s called "Safe Harbor," that used this location as a part of its set. The show was set in the fictional city of Magic Beach, Florida. 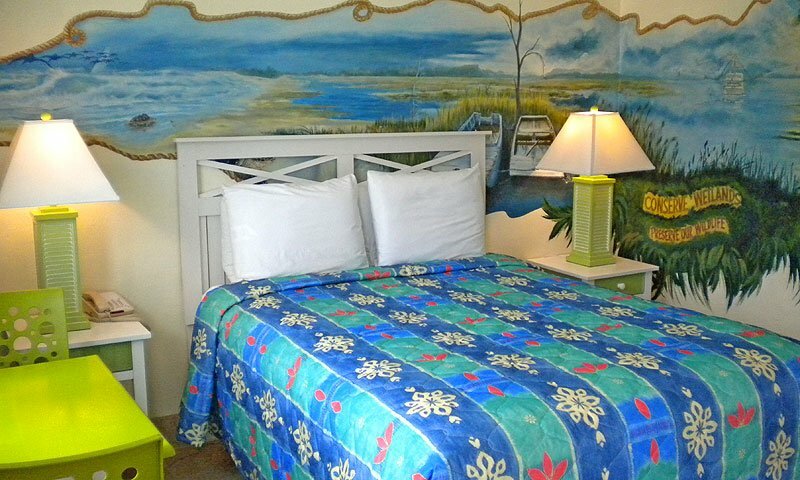 The owners have restored Magic Beach Motel to its former glory and kept that cool, retro feel. 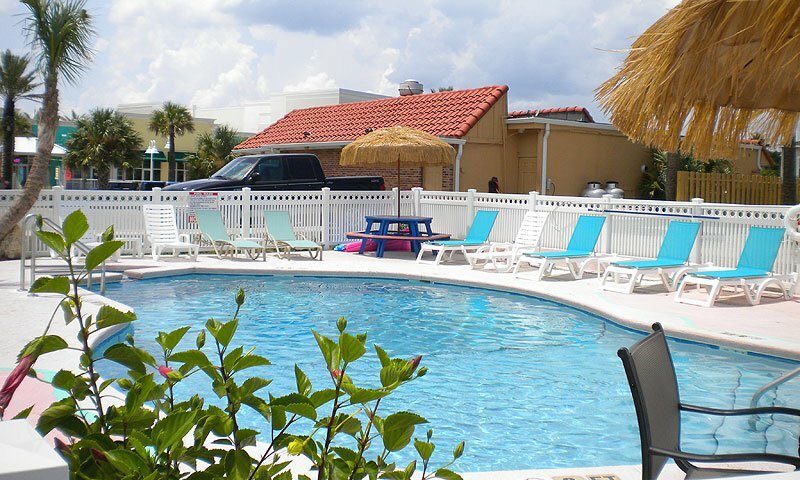 The whole family will enjoy this accommodation, whether swimming in the refreshing pool, enjoying the sites of historic downtown which is just a few minutes away, or soaking up the sun on the beautiful shores of Vilano Beach. 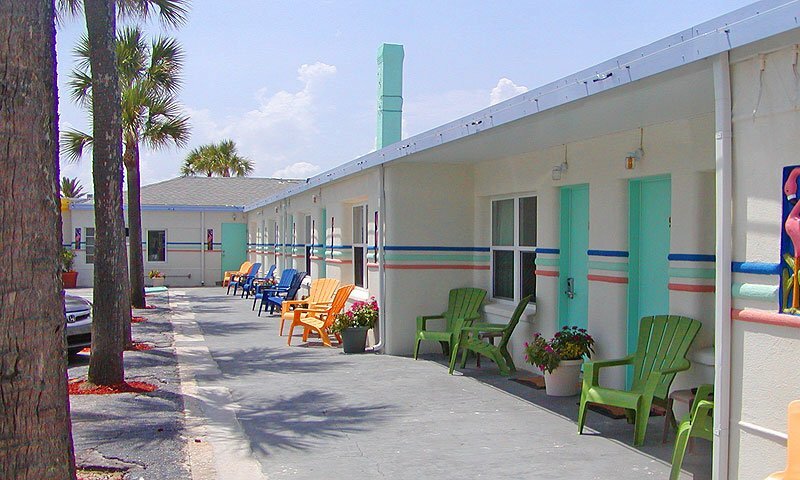 This 1950's Art Deco accommodation featuring pink flamingos, neon lights, and bright colors offers that unique vacation that you've been searching for. 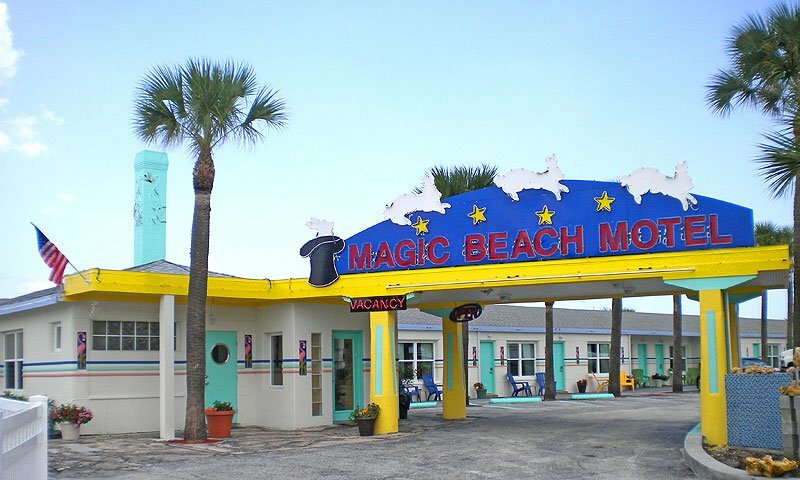 The Magic Beach Motel is a 2014 Winner of the TripAdvisor Certificate of Excellence. Pool, kitchenettes, cable TV, beach accessibility, hairdryer, breakfast lounge, microwave. This is one of the neatest places on the planet! Small, funky, cozy, and totally laid back. Walking distance to Publix, multiple restaurants, the pier, the beach, and 10 minutes drive time to the old city.